The 1990 Netherlands Yearbook of International Law contains expert articles on issues such as: conflicts of norms; belligerent reprisals; the exercise of jurisdiction in the Antarctic Region; Entitlement to maritime areas of rocks which cannot sustain human habitation or economic life of their own. The documentation section surveys Dutch state practice for the parliamentary year 1989-1990; international agreements to which the Netherlands is a party; Netherlands judicial decisions and municipal legislation involving questions of public international law and Dutch literature in the field of public international law and related matters. 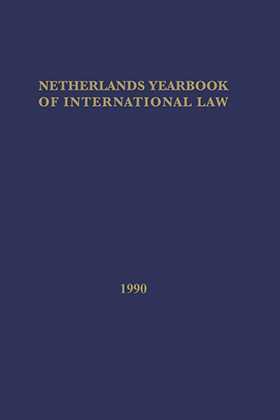 This Yearbook is included in the 1990 subscription to the Netherlands International Law Review (volume 37).